While he continues to be sidelined through injury the attacking left-sided defender has been enjoying a whirlwind trip around the world... according to his Instagram account. He said: "Wow, I didn't know. He said he was going to Paris but Hong Kong is far away, I need to download an Instagram account. "Yesterday he was in Barcelona. It will definitely not be OK if he is in Hong Kong." While the above post to his Instagram Story places Mendy in Barcelona on Thursday night, he suggested he subsequently caught a flight to Asia - posting the video below at 10am this morning, GMT. 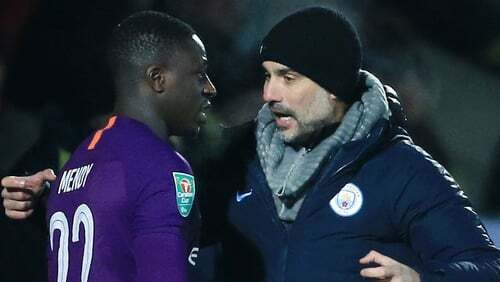 In response to a tweet from City Watch which transcribed Pep's comments, Mendy tweeted: "It was just joking with my uber driver I dont want no problems Pep." "Benjamin Mendy is injured and it's not easy. Meniscus. It is not easy. He needs to readapt. "You can't return and train for two days and then you are fit. You have to be careful."